Apr. 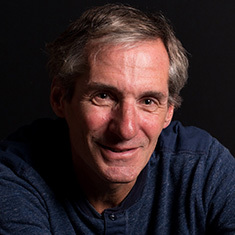 10, 2019 — Shortly after reconnecting with Grinnell College in 2009, Steve Elkes ’83 received a Phonathon call from a student. He asked the student what she personally was most interested in. She worked at the student-run radio station, KDIC, and was frustrated some equipment was outdated and inadequate. Elkes donated $10,000 to Grinnell’s Student Publications and Radio Committee on the condition that the student would figure out how best to spend the money. An entrepreneur, financial executive, and turnaround specialist for preparing internet companies for sale, Elkes is currently the president of Surface Travel, a startup in the travel industry. He has been a frequent contributor to the College in the past decade. Last year, he contributed $50,000 to fund a data scientist professional connection program. Elkes called himself an accidental student, with an accidental career, and an accidental philanthropist. Growing up, Elkes was a somewhat reluctant student who didn’t really want to go to college in the first place. He didn’t know what he wanted to do for a career and figured the chances of figuring that out were slim. His father, Terrence Elkes, who at one time was president and CEO of Viacom International, had different thoughts on the matter of education, maintaining it was the key to a better life. So it became clear Steve was going to college after all. Elkes earned a political science degree at Grinnell. After driving home following graduation, he was immediately dragged out by his mother to get his resume copied and spent the summer pounding the pavement in Manhattan in a blue pinstripe polyester suit, red tie, white shirt, and black shoes. From there, he “stumbled from one happenstance job to another for a while” before eventually getting an Master of Business Administration in finance, which led him to a job as an analyst at an insurance company months before the October 1987 financial crisis. Eventually, he moved to an internet company as vice present of finance, and has been in the technology/internet world ever since. Elkes was executive vice president of corporate development at Healthguru.com, an online video site focused on health, which he merged into Kitara Media. He was CEO and president at Makeover Solutions and previously served as chief revenue officer and executive vice president of mergers and acquisitions at TheStreet.com. The first company he worked for was iVillage, where he served as chief financial officer and executive vice president of business and legal affairs from 1996 to 2006 before the company was sold to NBC. After his parents passed away, Elkes was thrust into the role of philanthropist with the family foundation; he called it “a battlefield promotion.” He had to quickly learn the field of philanthropy but didn’t have a whole lot of tolerance for the typical philanthropic bureaucracy. After donating the money to Grinnell for KDIC, the next year another student he talked with was concerned about students who didn’t have money to get psychiatric care in town. Elkes has since made several gifts for mental health services and counseling. He also has funded a classroom technology project and a post-baccalaureate position for the Data Analysis and Social Inquiry Lab (DASIL). His latest gift for data science has helped bring professionals to the College for a seminar series, send students out for externships and professional conferences, and allowed for 15 students to take a spring break data science trek to Seattle. “It’s important for students to have industry treks that give them the opportunity to see what’s really going on outside of academia,” he says. Find out more about the College’s Data Analysis and Social Inquiry Lab (DASIL). For additional information on Elkes, change out his Leading Innovation and Entrepreneurship speaker bio.